Branded Content is older than your Grandad. It’s funny to me that people think that “Branded Content” is a new idea. It’s so old. (Vanha, as we say in Finland). MIchelin first published its Michelin Guides in 1900. Michelin Stars are still the thing that all the world’s restaurants strive for. I found a new example today. A radio show, completely commissioned by a drinks brand, in the 1940s. The 10-2-4 Ranch was aired in the south during the second world war. Great tunes, and a great connection to the brand which was (according to their research) consumed mostly at 10am, 2pm and 4pm. 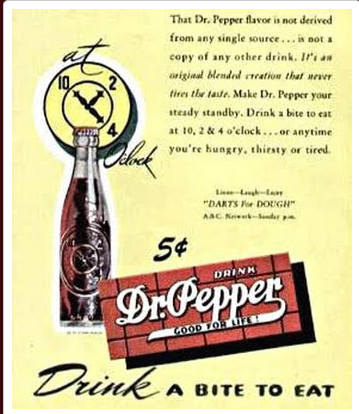 They used the 10-2-4 thought in their print advertising too – a true 360 campaign based on a real insight and including branded content.. almost 70 years ago!